Pigman’s BBQ – Kill Devil Hills, NC: Are you Jones’ing for BBQ? 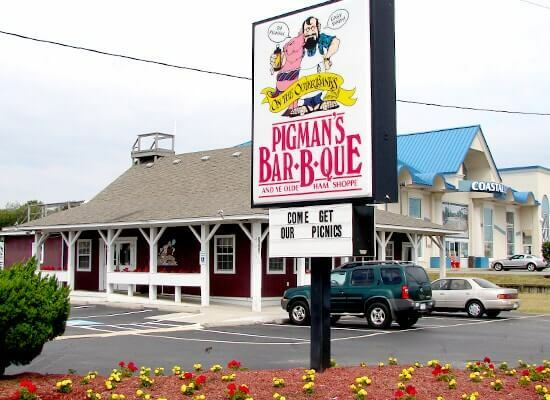 Pigman’s has been serving up Pork, Chicken, Beef, Turkey and Tuna BBQ for the masses on the Outer Banks for 32 years! They strive to give you the BBQ experience you won’t soon forget. They offer plenty of great to-go options for groups and they can even cater your Outer Banks events. Pigman’s BBQ is the Outer Banks Take-Out specialist. Same Great food as eating in the restaurants with the easy off eating in your vacation home. BBQ on the Outer Banks and Kill Devil Hills means Pigman’s BBQ. Known for “bringing saucy back” to the Outer Banks, Pigman’s BBQ takes all the necessary steps to make their BBQ unique. All of Pigman’s BBQ’s are smoked on site to cook the meat slowly and retain the natural juices, infusing it with oak flavor. 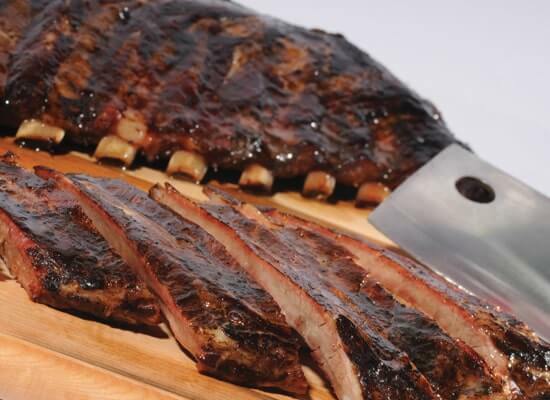 Whether it’s one of their five signature barbequed meats, or fall-off-the-bone smoked chicken or ribs, each tantalizing product is handcrafted in-house with their secret blend of spices. Every BBQ option has some sort of vinegar-based sauce, as it is the signature of Eastern North Carolina style BBQ. 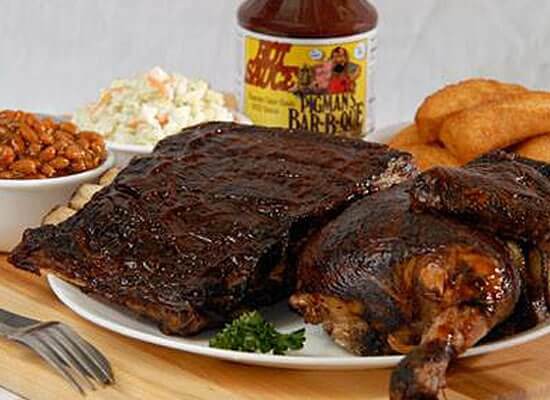 Although their vinegar-based BBQ options are undeniably delicious, they have discovered that there are many different palates out there to please. 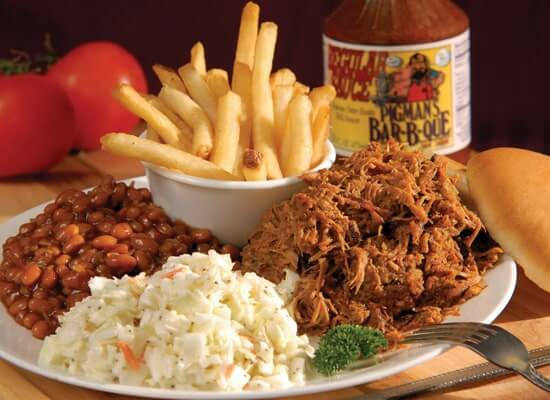 As a result, a few of Pigman’s BBQ options have ketchup and an additional blend of proprietary spices to give customers a “tomato based” option. Customers can expect to fill up the rest of their plate with Pigman’s classic southern fixings and sides like hushpuppies, fries, cornbread, potato salad, baked beans, and coleslaw! Pigman’s BBQ Mission is to make every customer squeal with delight through their hand-crafted barbeque and southern hospitality! Like them on Facebook to keep up with their events and see what they’re doing in the Outer Banks community.